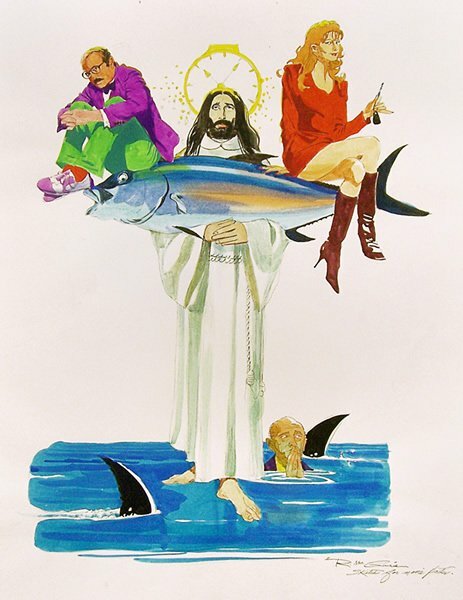 Description: Christ holding fish and balancing characters from the film. 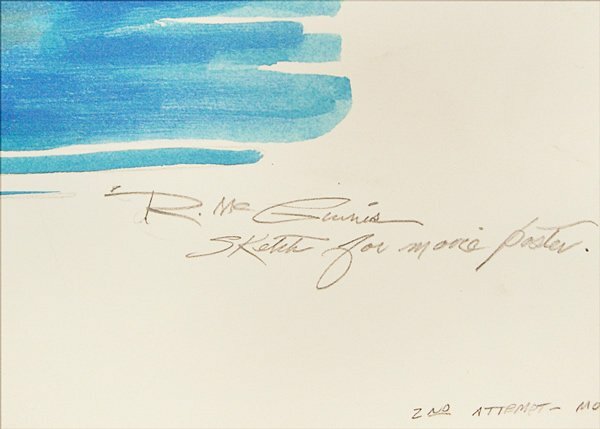 Comment: McGinnis, of course, is most widely associated with paperback book cover designs. As seen previously on this website though, he's also done a number of movie poster designs. This particular piece was not published and comes from the estate of the studio's art director. The movie was released in 1991 and starred Bob Hoskins, Jeff Goldblum and Natasha Richardson. Publication Information	 Not published, preliminary sketch for movie poster design for The Favor, The Watch and the Very Big Fish.